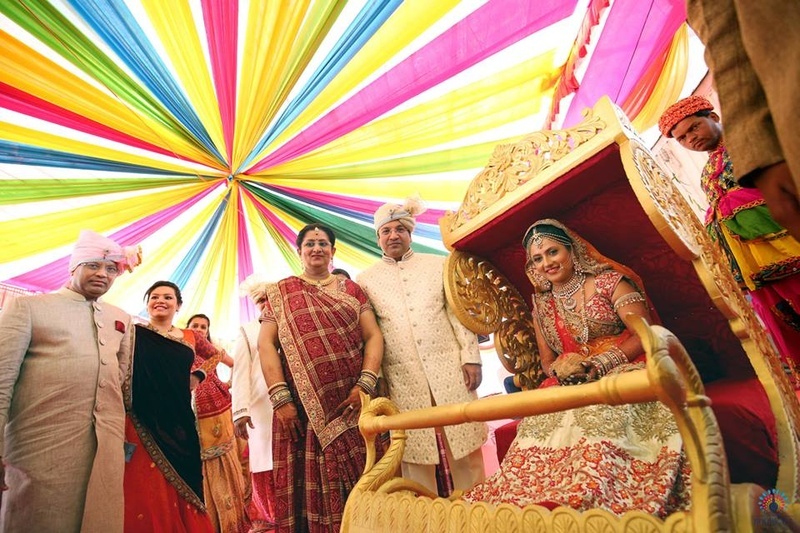 A wedding that ticked off all the boxes on the traditional checklist and did it so well! 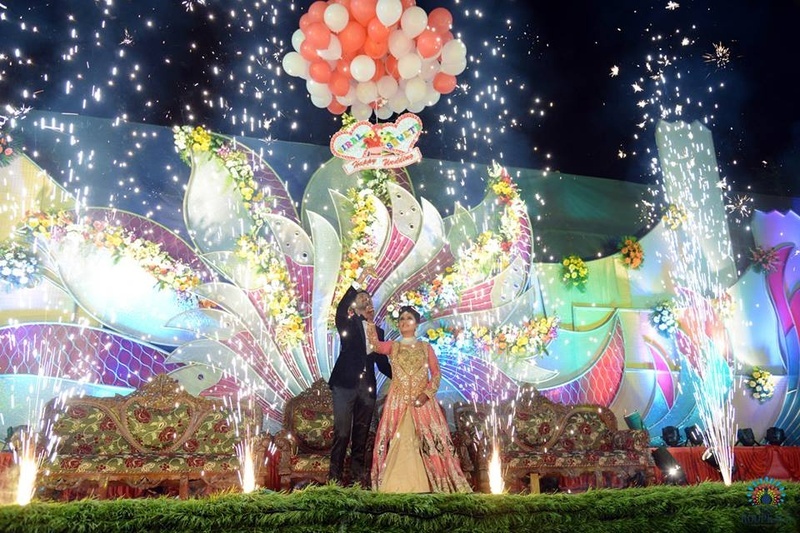 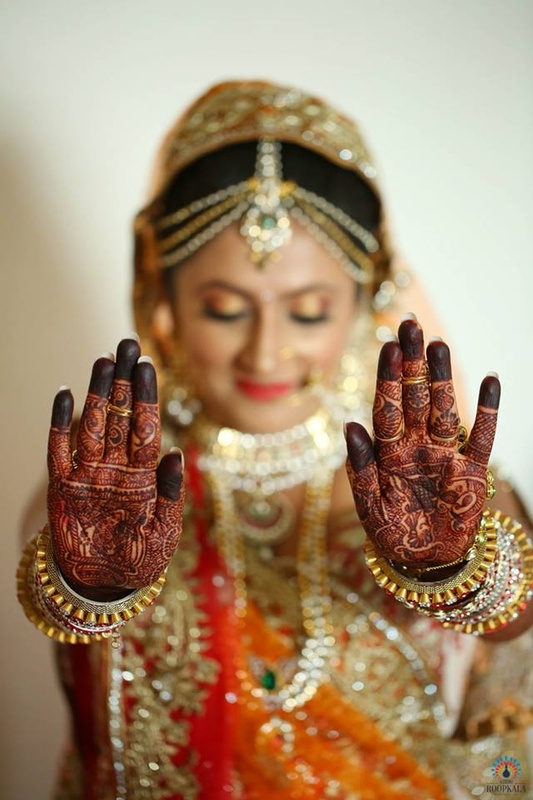 From the décor to the outfits right down to the bride’s intricate mehendi design - we were completely blown away. 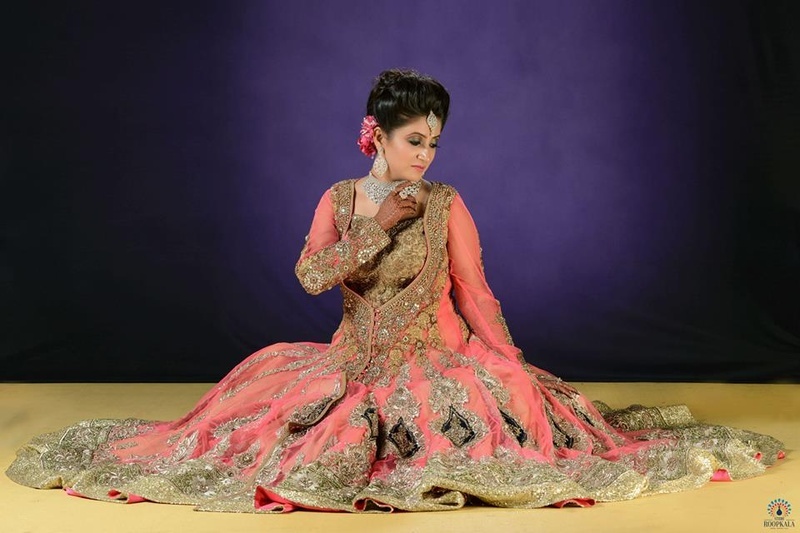 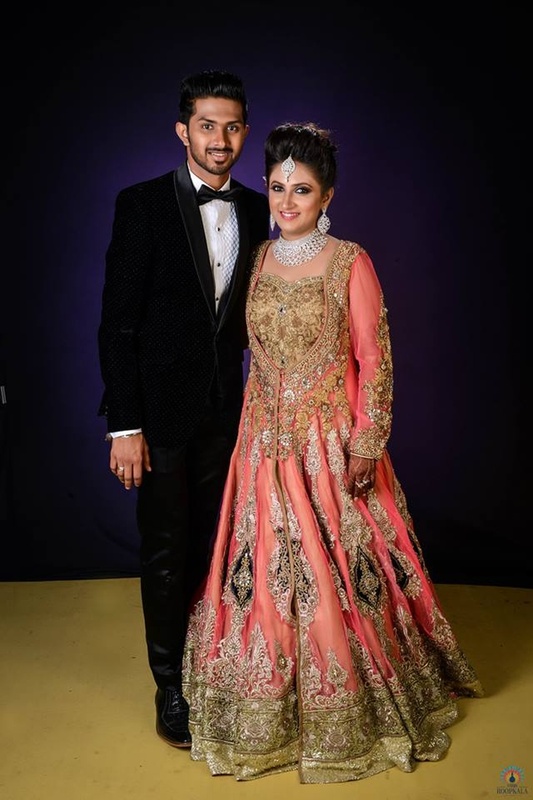 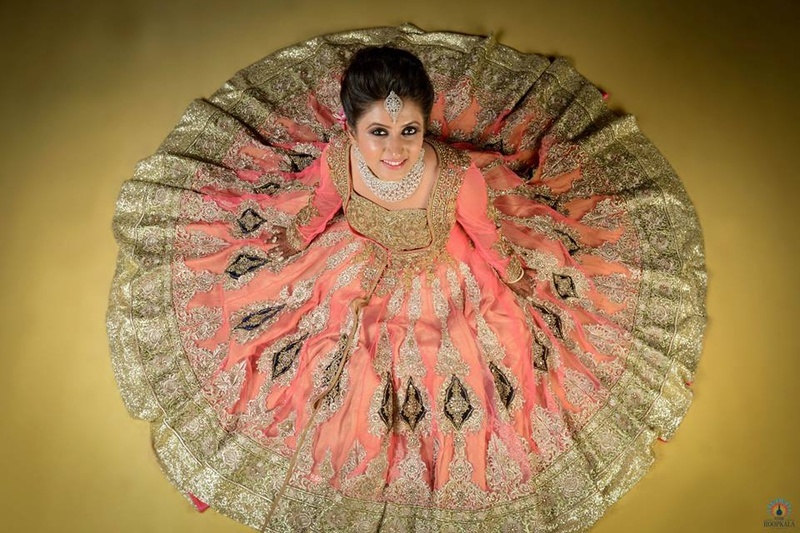 The gorgeous outfit worn by the bride for her sangeet was a blush pink sherwani style kurti embellished with gold embroidery. 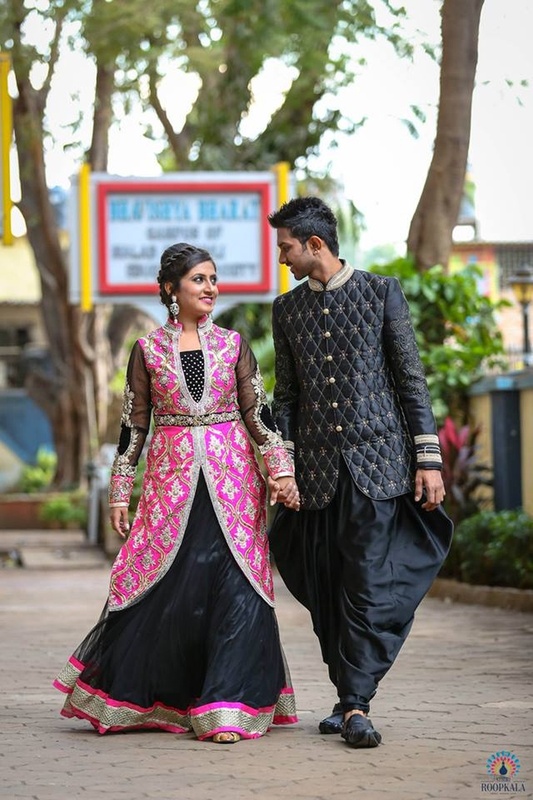 The bejeweled waist belt that she styled with her black net lehenga was an unusual but oh-so-stunning touch to her entire outfit. 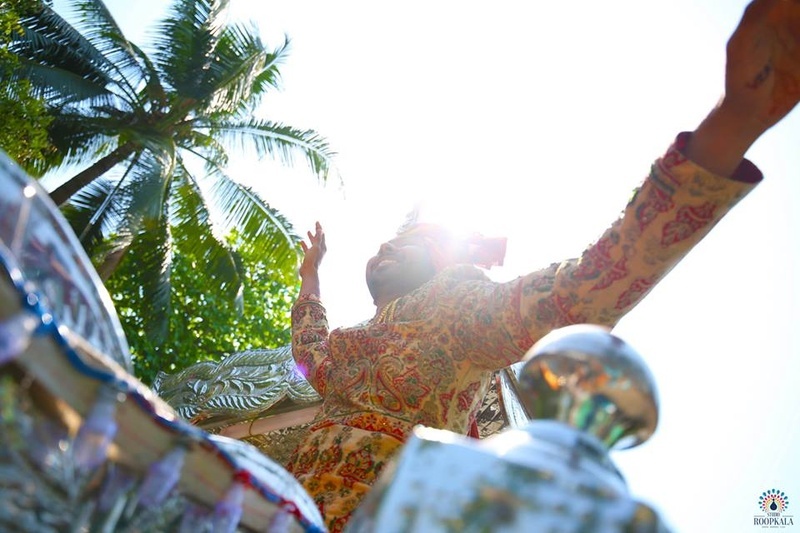 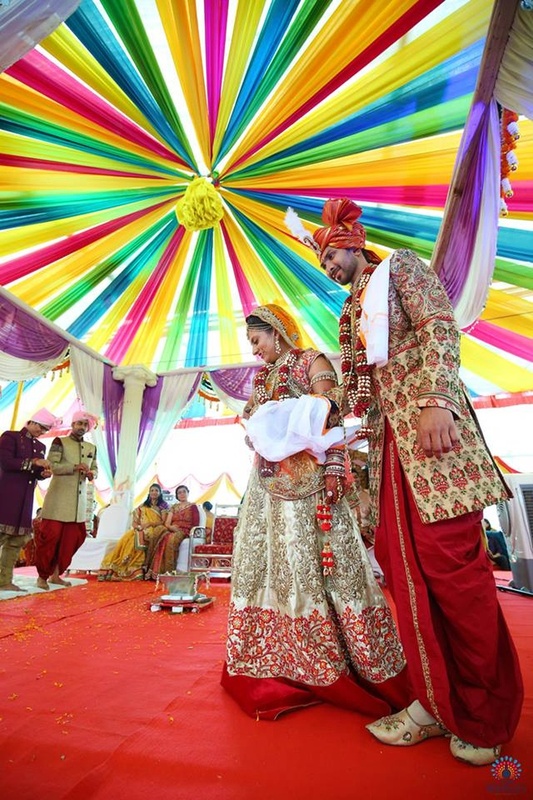 Celebrations continued as the couple took their Saat Pheras under a polychromatic wedding mandap dressed in traditional wedding attire. 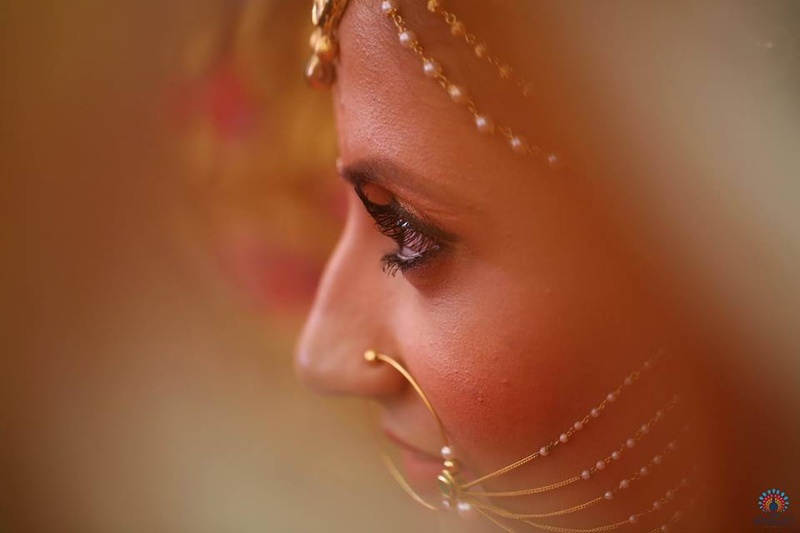 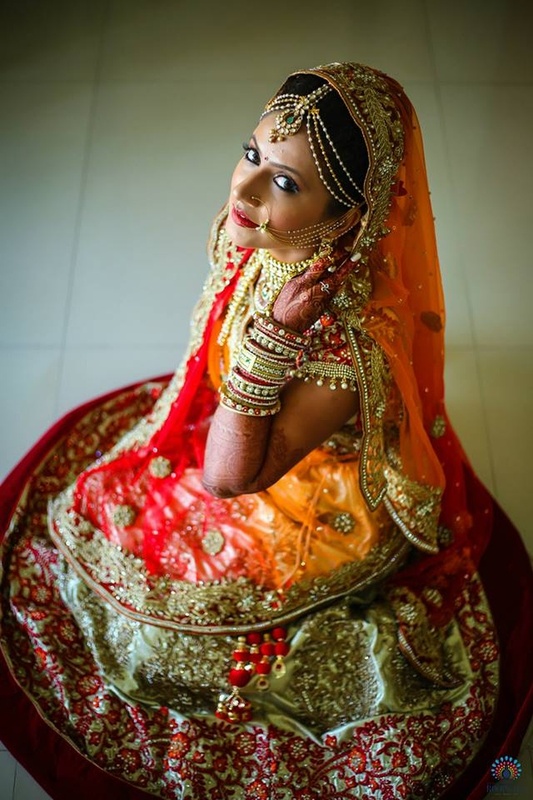 The bride looked stunning in her off-white and red wedding lehenga that was enriched with a gold embroidered body and hemline, she paired her lehenga with a sheer orange and red dupatta and a traditional gold necklace set studded with kundan and gemstones. 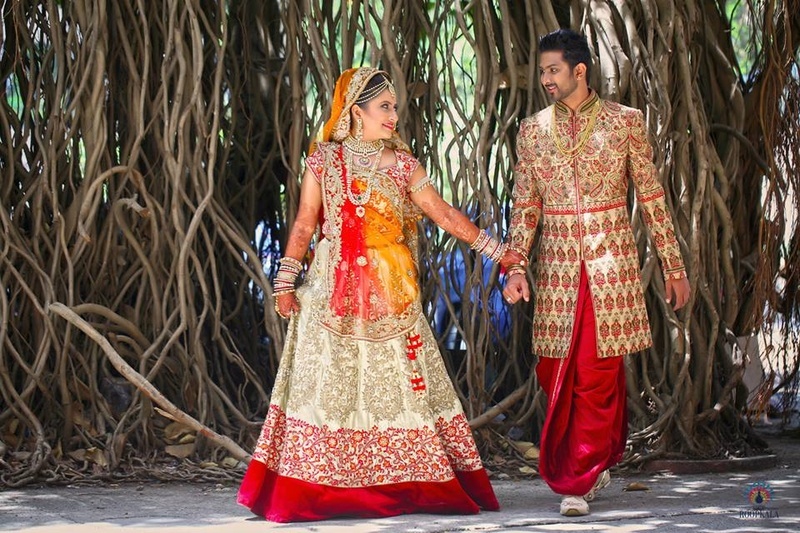 The groom didn’t want to do the usual off-white sherwani, so instead he went with a designer beige sherwani that was enriched with floral and paisley textures. 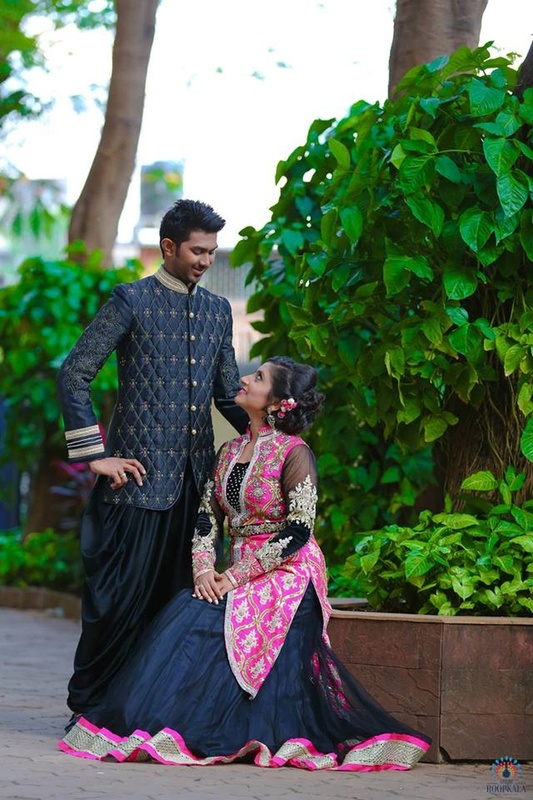 He styled this with a red dhoti and multi-strand royal haar – and we absolutely love it! 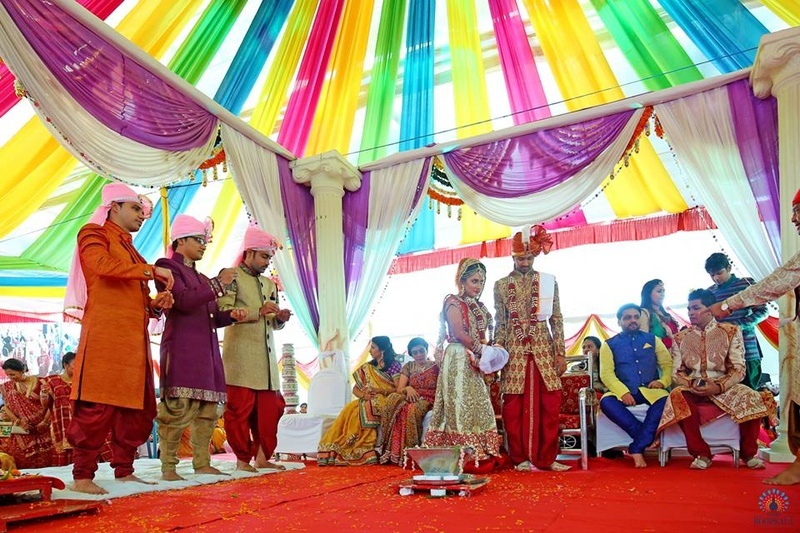 It was a perfect pick for their outdoor mandap setting. 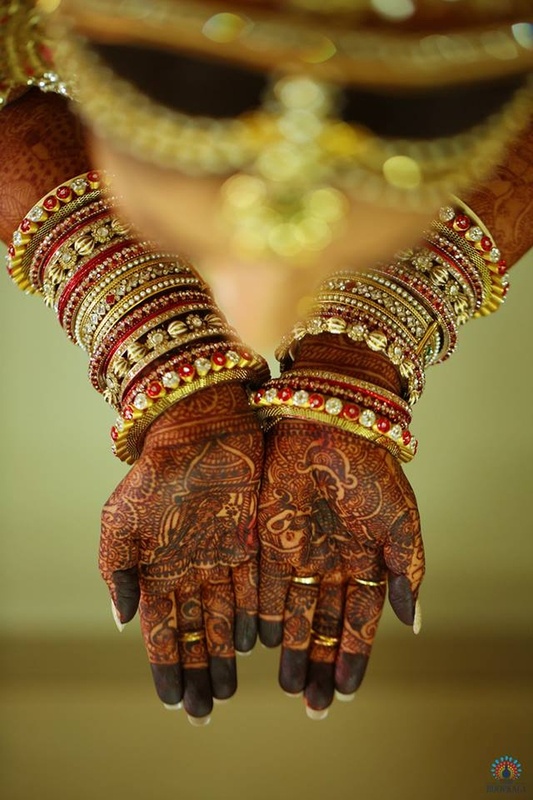 Once things were made official, it was now time to celebrate! 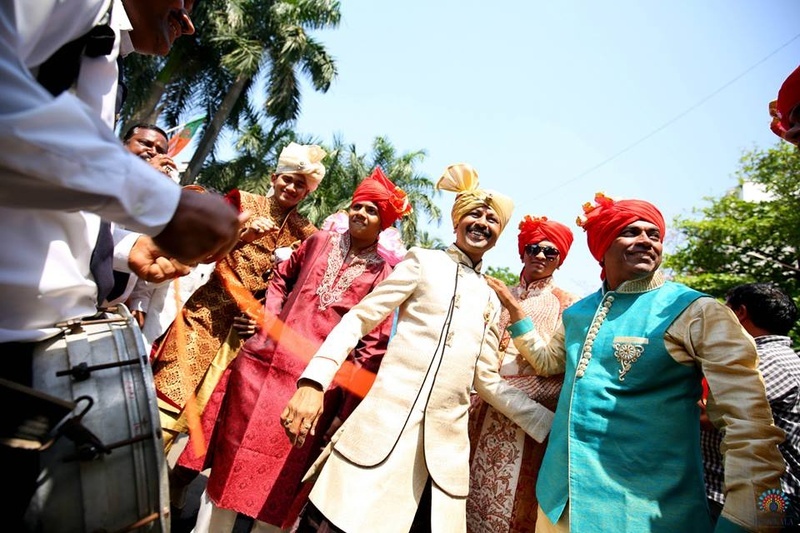 The bride and groom made an extraordinary entry into their open air wedding reception space at Kora Kendra Grounds in Borivali. 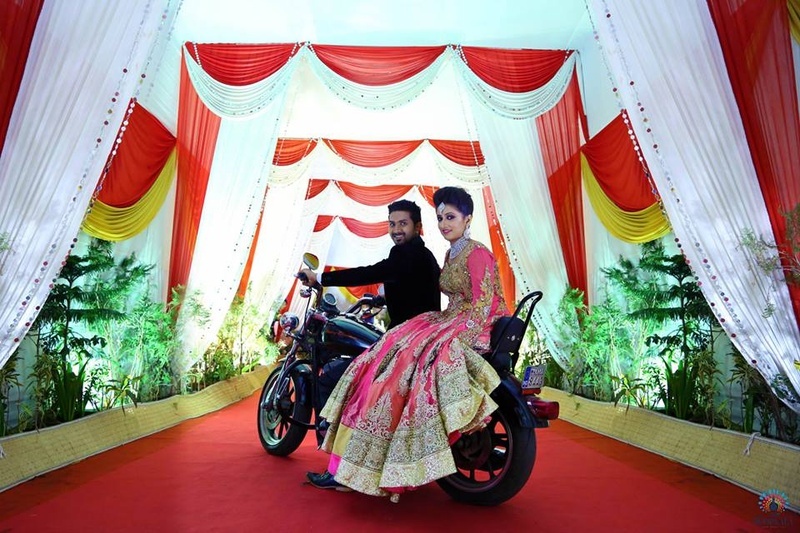 Shweta wore a blush pink evening gown gorgeously embellished with zari embroidery, thread work, and stones and sat behind Viral as they made their entry on a Hardley Davidson! 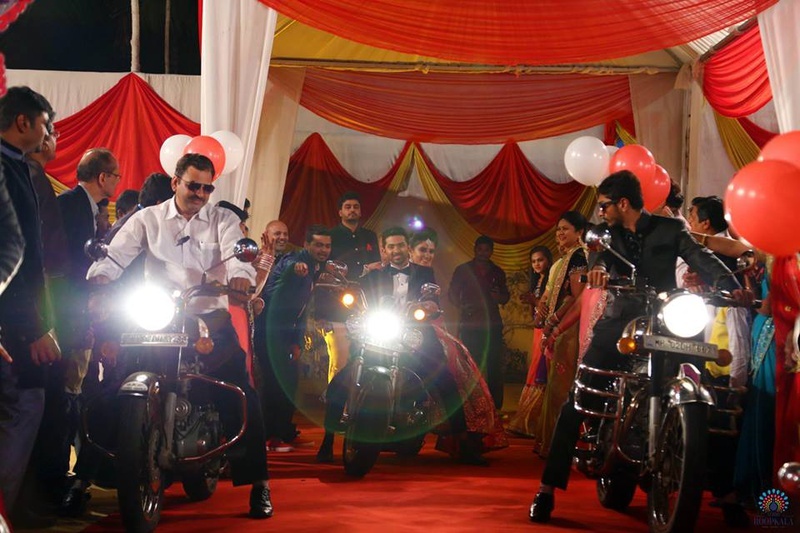 Now, that’s a way to start an amazing married life! 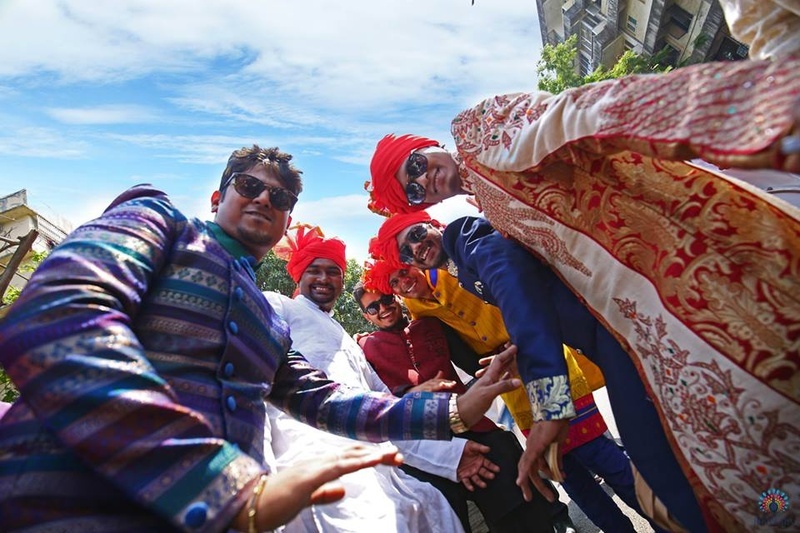 Beige a photographer himself, Viral made sure every picture taken captured the true essence of the emotion they felt – and that’s exactly how it turned out! 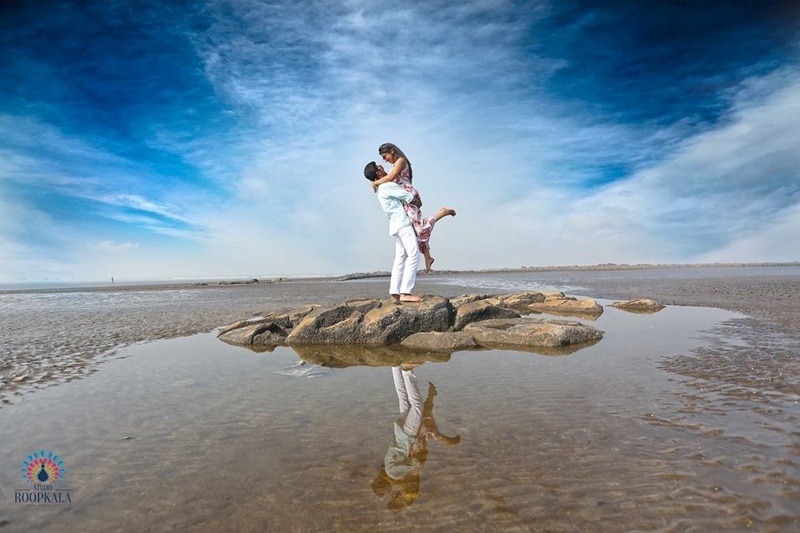 Especially during the post wedding photoshoot, their pictures looked like something out of a Hollywood rom-com! 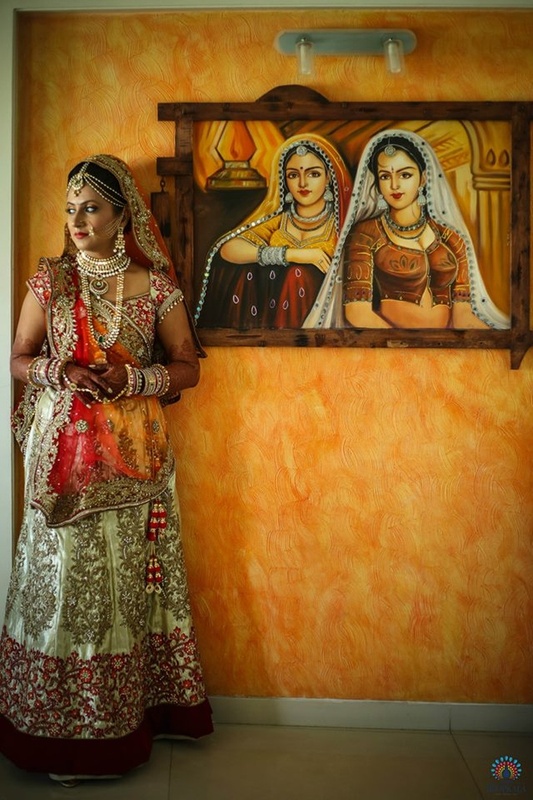 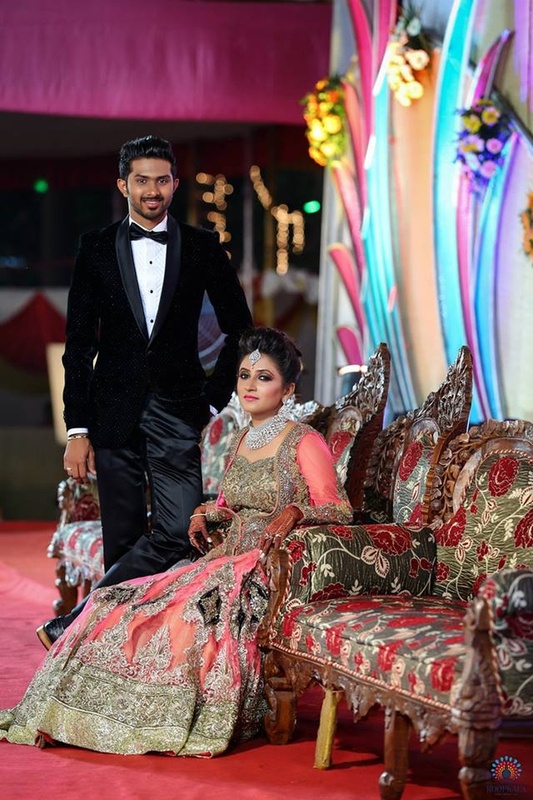 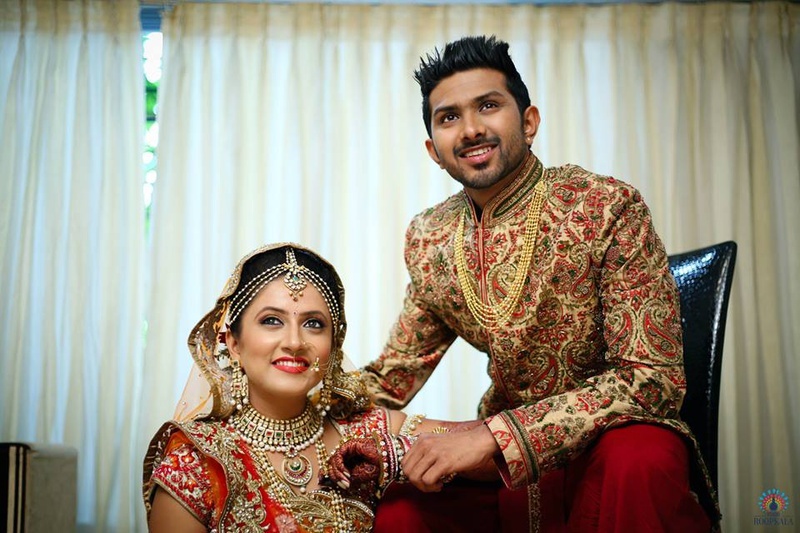 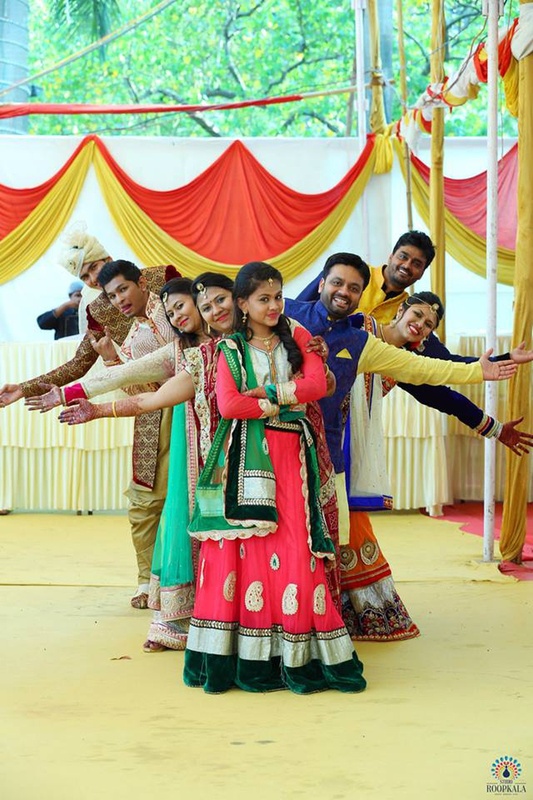 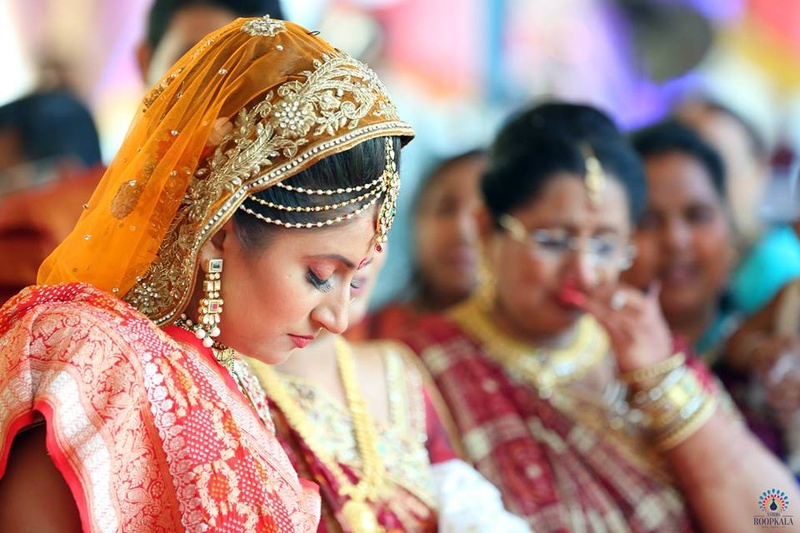 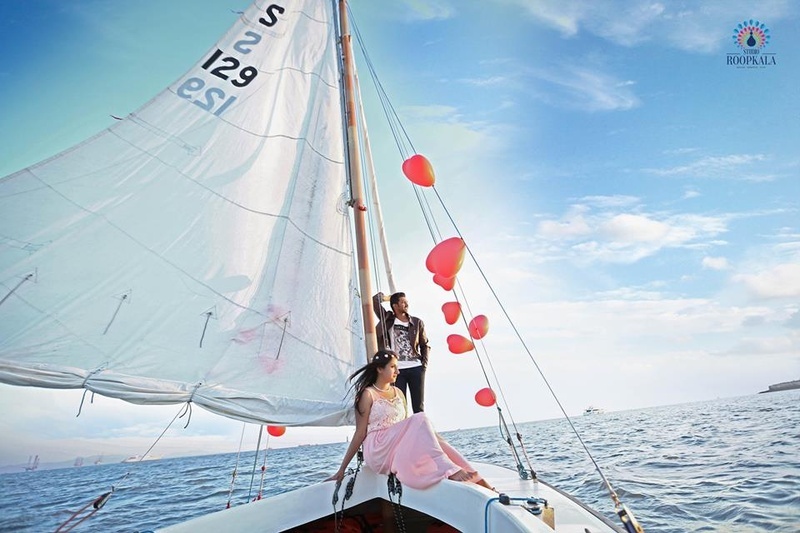 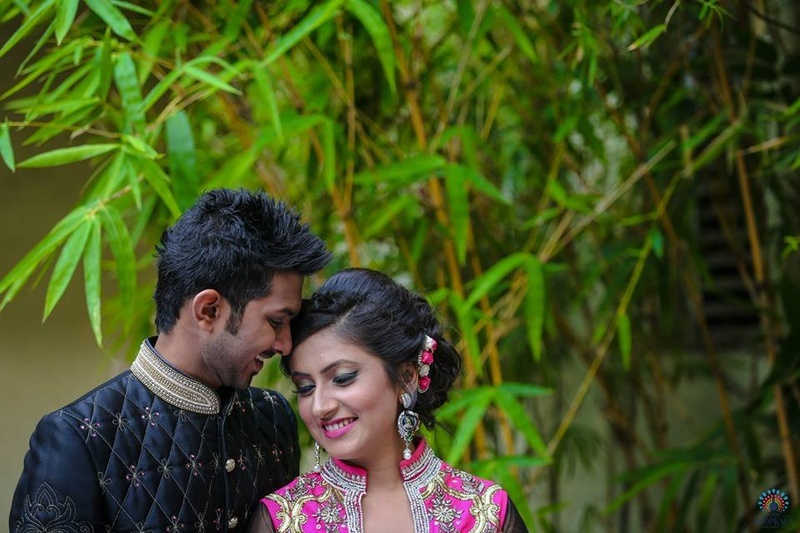 Studio Roopkala captured every moment from Shweta and Viral’s union just perfectly.